Ed started in the outfitting business as a wrangler at the age of 15 in the Caroline and Banff area. Ed first went to Jasper at the age of 17, with his brother Charlie, and helped pack for the government trail crew. Ed continued to live in Jasper and worked for Jasper Outfitter's John Unland, Tom McCready and Jim Simpson. He guided summer trips in the Park and did fall hunting trips in the Willmore area. Ed as well guided for John Ostashek in the Yukon. Ed is known and recognized as one of the best sheep hunters in the country. 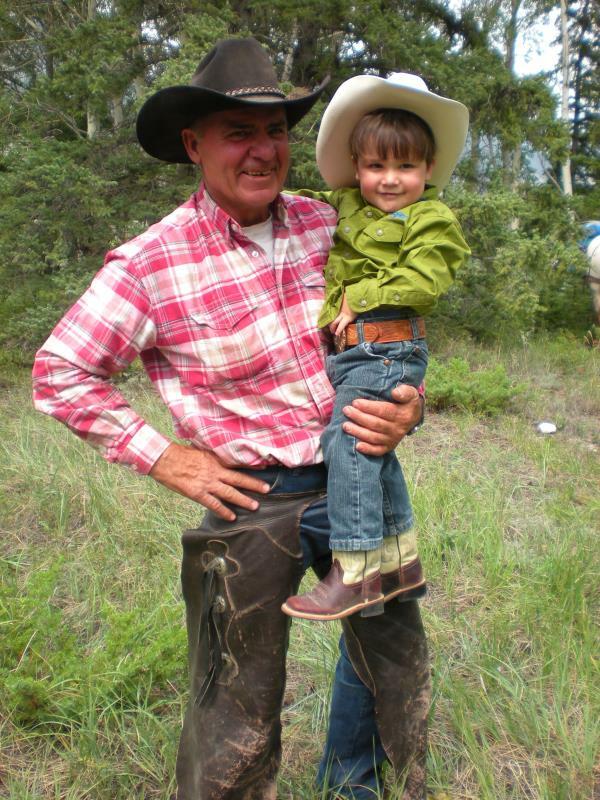 His career has been successful and rewarding as a Big Horn Sheep guide. 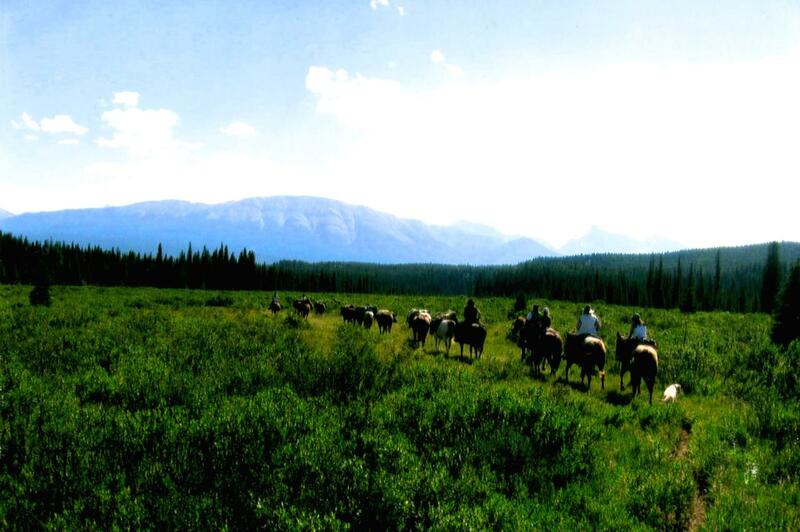 In 1978 Ed and Maggie purchased Miette Trail Rides (now Four Point Outfitters) in Jasper Park. They operated the Pony Barn Concession and backcountry pack trips, at Miette Hot Springs with their three daughters, Maureen, Christy and Shauna. With 53+ years of outfitting experience, knowledge and skills, he is a Mountain Guide extraordinaire. Ed acquired his "Class A Guide" license at the age of 18, which he has held continuously to today. It is with great sadness that Ed packed his duffel and horse to take his final inevitable trip across the divide January 10, 2019. Ed was an integral guide and partner in the trail trips of Four Point Outfitters. He will be missed for his packing expertise, humour and knowledge of the trails and mountains that were his lifelong passion. Go Rest high on that Mountain. We know your Spirit will be riding with us. Maureen was raised in the family outfitting business and has always had a connection with the spirituality of the mountains. From an early age Maureen's passion has been cooking on the trail and working with children. She loves to plan menus and prepare gourmet meals for our guests to enjoy as they ride into camp or while attending workshops and retreats at the ranch. She has Early Childhood Education and has taught Playschool for 10 years. With four beautiful daughters Maureen is kept busy volunteering as a 4-H leader, planning after school programs and assisting in many youth sports activities. Maureen has been inspired through nature, the mountains and her early years as a 4th generation Outfitter's daughter to write children's stories and poetry. Maggie was born in Jasper Park, daughter to Clarence and Geraldine Wilkins, where her Dad was employed as a Jasper Park Warden. From the time she was 9 months old, she felt blessed for having had the opportunity to travel the backcountry on horseback. At the age of 12 years, she went to work for close family friends and Jasper Outfitters' John and Edith Unland in the beautiful Tonquin Valley. Edith taught her the art of being a trail cook. Maggie's Mother Geraldine, was raised a Jasper Park Warden's daughter as well. She was the daughter of Jasper Park Warden Frank Wells. In 1935 the Geraldine Lakes in Jasper were named for Maggie's Mother after she stocked the virgin lakes with rainbow trout that still thrive there today. Geraldine was an avid horsewoman providing Maggie mentorship, awareness and teachings of the innate communication and spirituality with horses. Maggie's Dad and Mother taught her the importance of being a steward of the land, taught her to respect and love nature and gave her an appreciation for the spirituality of the mountains. This is the heritage that is near and dear to her heart that she continues to share and experience with her three daughters, Maureen, Christy, Shauna and her 6 wonderful grandchildren. She has her degree in nursing and has nursed for 40+ years, with her focus always being on the importance of a balance between the body, mind, emotions and spirit in order to promote optimal health and wellness. She is a certified practitioner in the alternative healing modalities of Reflexology, Reiki, Reconnection Energy, Equine Massage and is an Equine Facilited Learning Coach. Was born and raised in a mixed cattle operation in central Alberta. His innate interest in horses was fostered by his father, himself a Teamster. 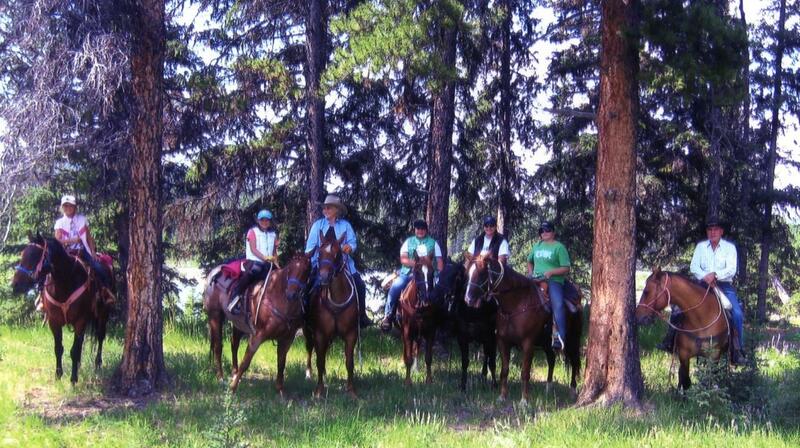 4-H and local horse shows percipitated riding throughout Alberta in various disciplines. He has enjoyed a distinguished career in the R.C.M.P., presently serving in their Air Services Division as a pilot. During his career he had the priviledge of riding a black thoroughbred horse, Centenial, while posted to the Force's Equitation Course. The horse was later presented to HM Queen Elizabeth II. 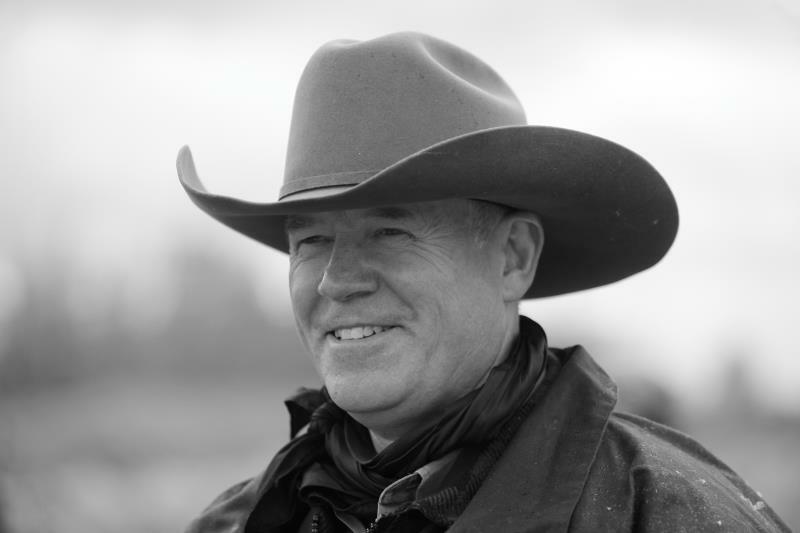 Raising and training horses for mountain trails and roping is second nature to this man whose focus is on safety in all aspects of his life. Four Point Outfitters continues to be operated as a family business in order to provide our guests with the true essence of the mountains, nature and the ranch. These experiences offer one the heart-felt peace and serenity that comes through when in the presence of Horse.